Tops: 10 Greatest Dinosaurs from Jurassic Park (franchise) – BOBBY JAMES. The franchise-spanning herbivore Parasaurolophus appears briefly (in the background) when John Hammond (Richard Attenborough) says “Welcome to Jurassic Park!” Then, in The Lost World: Jurassic Park, it gains a more prominently featured role after Peter Ludlow (Arliss Howard) seizes control of InGen from Hammond. 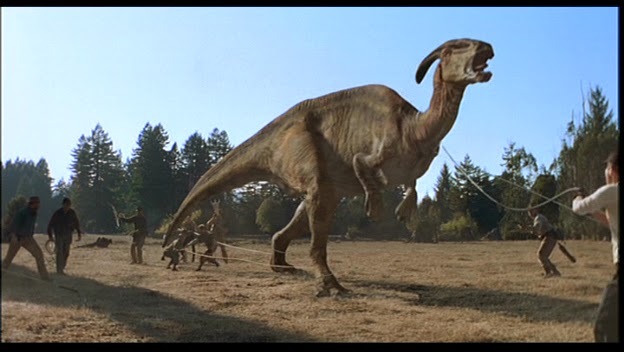 In the scene from which the above photo is borrowed, Parasaurolophus is used to illustrate the comparative size of the dinosaur (to humans) – and to demonstrate the cruelty of InGen’s new leader. Its final, pre-Jurassic World appearance comes as a passing glimpse in Jurassic Park III. 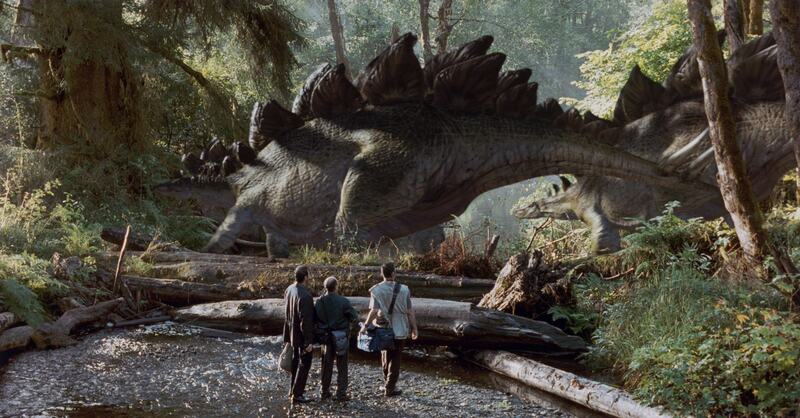 Parasaurolophus is set to appear in Jurassic World – but its capacity has yet to be determined. Either way, Parasaurolophus is one of the few franchise-spanning peripheral dinosaurs, earning it the number 10 spot! Fun-fact: Parasaurolophus wasn’t actually a Jurassic dinosaur, rather it lived during the Late Cretaceous period (about 76.5-73 million years ago). Timmy (Joseph Mazzello) stumbles to identify “Galli-galli-gallimus!” when a herd of them starts flocking his way in Jurassic Park. He, Dr. Grant (Sam Neill) and Lex (Ariana Richards) duck for cover behind a fallen tree as T-Rex bursts onto the scene, capturing a Gallimimus as prey! 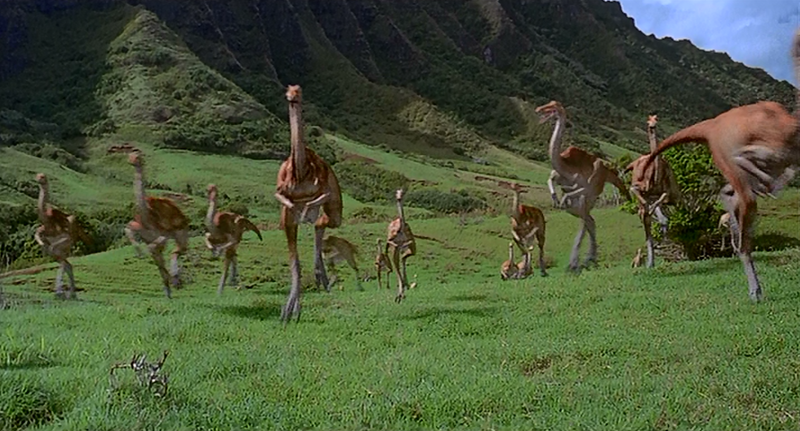 In The Lost World, gallimimus is part of the stampede being pursued by InGen. Jurassic World appears to be recreating – or at least revisiting the famous flocking scene, poising Gallimimus for its third franchise appearance. 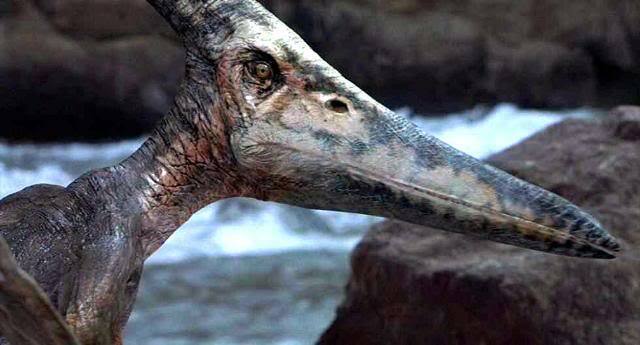 Fun-fact: Gallimimus is one of the only dinosaurs preyed upon naturally in the films – and like Parasaurolophus, Gallimimus is a resident of the Late Cretaceous period. Making its first appearance at the end of The Lost World, Pteranodon was set up to be a surprise player in Jurassic Park III. When the cast finds themselves in the abandoned aviary (while evading Spinosaurus), they are left to the mercy of fog and the suggestively carnivorous Pteranodons. Arguably the more convincing predatory concern in Jurassic Park III, Pteranodon was actually quite fearful, for their aerial attacks were unseen and swift. They mortally wound(?) Dr. Grant’s disgraced pupil Billy (Alessandro Nivola). Fun-fact: Pteranodon was also a Late Cretaceous species (existing 88-85 millions years ago) and is not technically a dinosaur, though it’s consistently listed among them. An icon from the dinosaur age, Stegosaurus debuts alongside Dr. Sarah Harding (Julianne Moore) in The Lost World. Prior to Dr. Ian Malcolm’s (Jeff Goldblum) return to the fray, Dr. Harding and Nick Van Owen (Vince Vaughn), a photographer, have travelled to “Site B” (Isla Sorna) to capture images – and to study behavior patterns – of the island’s inhabitants, beginning with Stegosaurus. Stegosaurus proves to be a gentle, but territorial – and protective – herbivorous species (one almost kills Dr. Harding!). In Jurassic Park III, Stegosaurus makes a brief appearance in the river scene. Fun-fact: Stegosaurus is a Jurassic creature, having lived 155-150 million years ago! Jurassic World merchandise suggests a hybrid dinosaur has been created, using this dinosaur – and the next one featured on the list (hint: Stegoceratops). 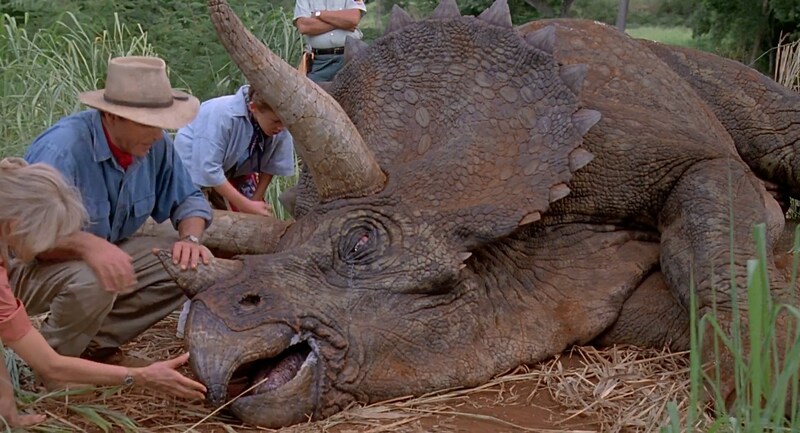 Another iconic feature in terms of dinosaurs, Triceratops makes her first appearance in Jurassic Park. She plays a key role when Dr. Grant and Dr. Sattler (Laura Dern) discover she’s ill. Dr. Sattler stays behind with chief veterinarian Dr. Gerry Harding (Gerald R. Molen) as a hurricane approaches. Anxious to discover the cause of the “Trike’s” ailment, Dr. Sattler is removed from the subsequent Tyrannosaurus situation! Whew! Triceratops appears again in The Lost World, briefly, to be captured – set free – and to wreak havoc on the InGen camp! This species again makes a (very) brief appearance, as spotted by Dr. Grant in Jurassic Park III. Triceratops (or a version of it) is scheduled for Jurassic World, which makes Triceratops another franchise-spanning feature! Fun-fact: In 2009, researchers under the supervision of Jack Horner questioned Triceratops existence as its own species of dinosaur! The present theory is that Triceratops was a juvenile version of Torosaurus, though this claim is debated and not (yet) widely accepted. Also, Triceratops is another Cretaceous period species, existing approximately 68 millions years ago. Another Fun-fact: There’s also a theory that Triceratops may have been partially carnivorous (by scavenging kills from other dinosaurs)! WHOA! Mind blown again! Number 5 is a pretty high rank for a dinosaur that only appears in one film, right? Wrong. Dilophosaurus is considered one of the largest carnivores of the early Jurassic period, existing approximately 195 millions years ago! Featuring a double crest on its skull, Dilophosaurus is believed to have been a ferocious carnivore (though Jurassic Park took liberties with this species: Making is smaller and having it spit venom, which might only ever be a hypothesis). Dilophosaurus is the second dinosaur to get a kill in Jurassic Park, but it’s the first to kill a significant character, Dennis Nedry (Wayne Knight). Fun-fact: Fossilized footprints suggest Dilophosaurus may have been a pack hunter! 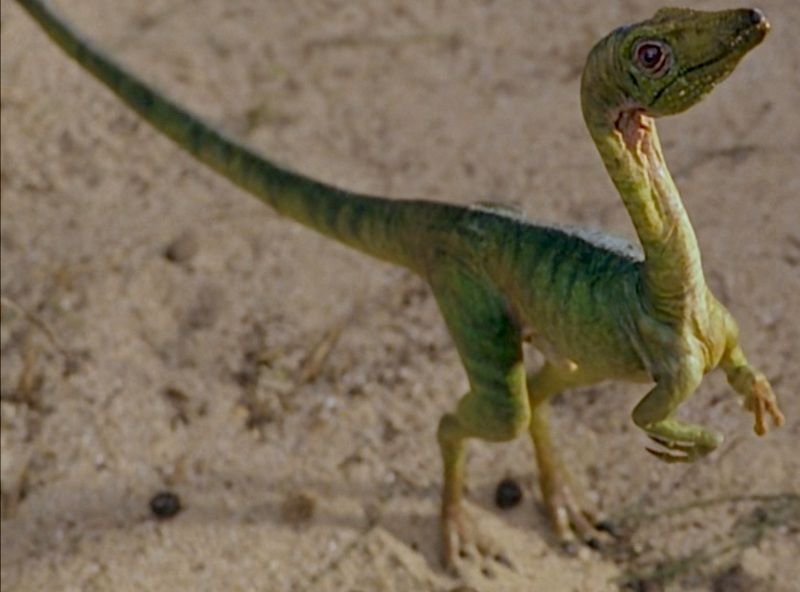 Compsognathus, or “Compy,” as it’s referred to in the movies is a dangerous and prominently featured little carnivore! In The Lost World, “Compys” begin their tiny (adults are believe to have measured 12 inches in height!) reign of terror by attacking a child, Cathy (Camilla Belle), on a beach – and it’s really unclear whether or not she lives or dies! Subsequently, their opportunistic body count rises throughout The Lost World, and briefly in Jurassic Park III. Any way you look at them, the Compys are one of the most successful predators in the franchise, boasting a death toll that is only bested by the Velociratpors and T-Rex! Fun-fact: Compsognathus was a late Jurassic species, living approximately 150 millions years ago! A herd of Brachiosaurs is then seen in the background, swimming and grazing alongside a herd of Parasaurolophus. Later in the film, when Dr. Grant leads Timmy and Lex into a tree for the night, Brachiosaurus resurfaces and comes to affectionately be known as a “Veggiesaurus” before sneezing on Lex! 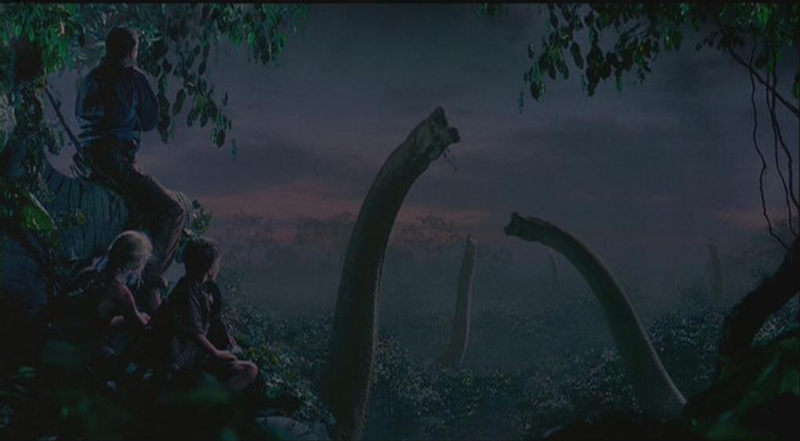 Brachiosaurus makes a cameo in Jurassic Park III at the river scene. Fun-fact: Believed to have existed 154-153 million years ago, Brachiosaurus is one of the most well-known dinosaurs (as such, a main belt asteroid has been named 9954 Brachiosaurus). Present theory suggests Brachiosaurus may have been warm-blooded. The “clever” girls have arrived on the list. Velociraptor is one of the most iconic species of dinosaur featured in the Jurassic Park franchise. They’re also portrayed as the most intelligent, as Robert Muldoon (Bob Peck) suggests they’ve developed problem-solving thought processes. Velociraptor is the first dinosaur introduced in the franchise (remember the worker being eaten at the beginning of the film!? ), though it remains unseen until later. She is also used in Dr. Grant’s introduction (for purpose of intimidation – and as the dig’s skeleton!) and is the only dinosaur we see as a hatchling, as the first to breed in the wild and is the only species truly identified as a pack hunter (vengeful cognitive process – ex. they hunt Timmy and Lex and open doors!). 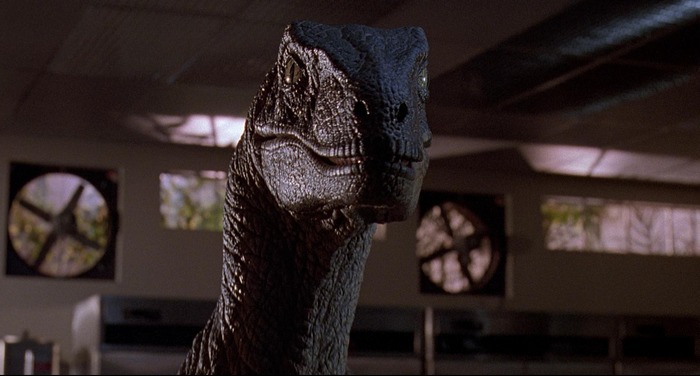 In The Lost World the Velociraptors ambush the InGen group in the tall grass and they come face-to-face with Dr. Malcolm and Dr. Harding (and more). Their reign of terror extends well into Jurassic Park III, where the franchise changed their look (to include the presence of feathers) and behavior (suddenly, they weren’t so carnivorous!). Velociraptor will appear in a highly intelligent (and obedient?) manner in Jurassic World, alongside Owen Grady (Chris Pratt). Fun-fact: Velociraptor is actually a Cretaceous species, existing 75-71 millions years ago. Velociraptor is also one of two dinosaurs that interacts with every major cast member! The number one spot belongs to the iconic Tyrannosaurus Rex! 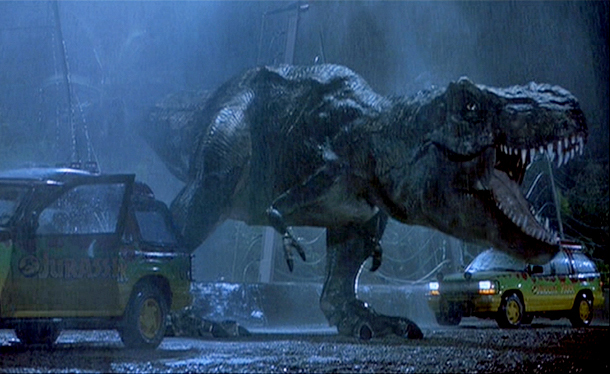 T-Rex is the primary concern – and the most built-up encounter in Jurassic Park. Her escape from the paddock delivers the iconic moment/film sequence for the entire franchise. She’s ominously referenced in Hammond’s intro to the park (“We clocked he T-Rex…”) and is the first carnivore we explicitly see murder a human character – bye, bye to “the blood-sucking lawyer” Donald Gennaro (Martin Ferrero). 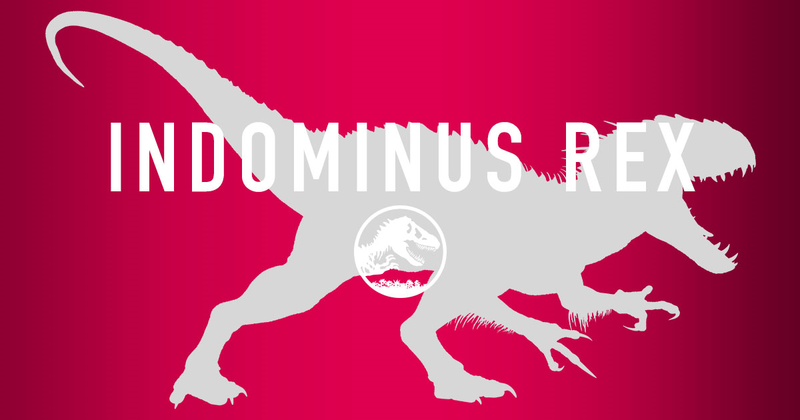 The Tyrannosaur’s a hunter, as Dr. Grant says, and is the most feared predator on Isla Nublar. Her escape and pursuit sends the initial group of characters fleeing from the island. Her supremacy, and rule over the island, is established ultimately when she bursts into the visitor center, confronting and killing the raptors. In The Lost World, the story has an emphasis on Tyrannosaur’s behavior (specifically its hypothetical co-parenting style), complimented by a brief venture to Los Angeles (why!?). She’s only in L.A. for a night before being lured back onto the ship for her return to the island. 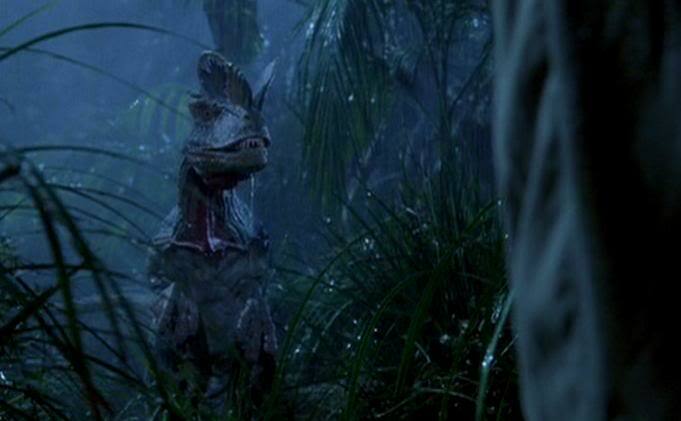 In Jurassic Park III, T-Rex is introduced to a deadly foe in Spinosaurus. In their encounter, Spinosaurus kills the Tyrannosaurus Rex (seriously!?). Thankfully, Jurassic World essentially says “Nope!” and promises that the original Tyrannosaurus Rex has been roaming Isla Nublar for 22 years, and she’s angry (I might be fan-boy-ing out over here!). From her iconic roar to her impressive digital and animatronic appearance, Tyrannosaurus Rex is quite literally the Tyrant Lizard of the Jurassic Park franchise! Fun-fact: Besides Velociraptor, T-Rex is the only other dinosaur to interact with every major franchise character! Like the raptors, Tyrannosaurus was actually a Cretaceous species, existing 68-66 million years ago. T-Rex is believed to have been an apex predator – and contemporary theory suggests that Tyrannosaurs hunted in packs (juvenile’s would hunt; adults would feast – like lions?)! Imagine that in the movies! NOTE: You may be wondering where Spinosaurus is on this list? I opted not to include Spinosaurus for one reason – because I despise Jurassic Park III, but that’s a discussion for another post. Really though, it eats a cellphone – and that becomes its calling card (no pun intended)? I’ll pass, especially on the notion that it kills the franchise icon! 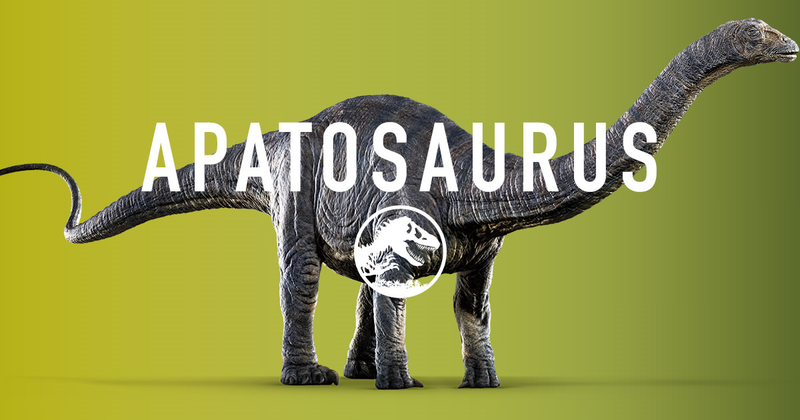 Keep your eyes peeled for an updated edition for this, once I have been introduced to the genetic hybrid that is Indominus Rex (and any other dinosaurs Jurassic World might include, among which are my favorite: Apatosaurus!!!). Next Post Coming Soon: Jurassic Pixar!